There are a lot of boardgamers who avoid Magic because of the collectible aspect, and that’s certainly understandable. However, a while ago I discovered a wonderful variant called Stack, and it’s not my favorite way to play. And the best thing about Stack is… it’s completely non-collectible, and it costs only as much as you want to put in it. At its core, the idea is very simple. Everyone plays from the same giant deck. Ideally, you should choose a selection of what you consider the most fun cards. The stack is a lot of fun, and everyone I’ve played it with has enjoyed it. Won’t you give it a try? There is one other rule which is very important. There should be a supply of basic lands, and whenever a player could draw a card he may instead choose to draw a basic land of his choice. Additionally, if a player could search the library for a basic land, they may take one from the basic land supply (there shouldn’t be any basic lands in the stack itself). Other than that rule, the format is great because it allows you a huge amount of leeway to tailor it to suit you. 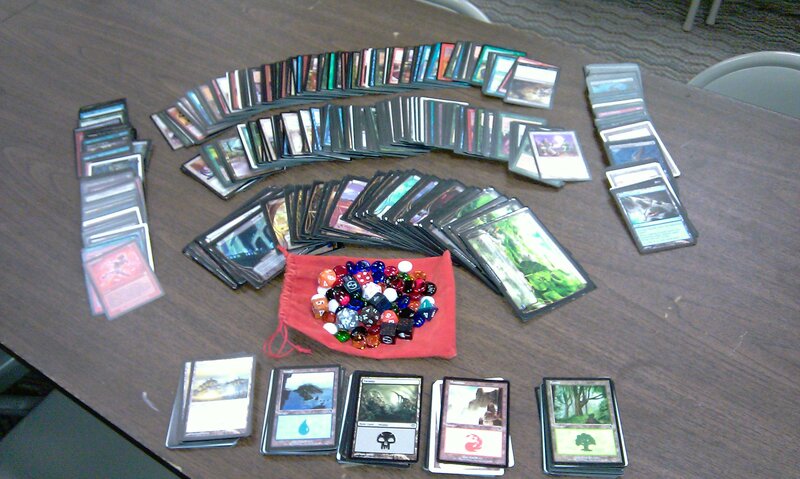 For instance, I love Planechase, and a deck of Plane cards in the center of the table is always an important part of stack for me. There are some practical issues which must be dealt with. Here are my rulings; you should come up with your own to suit your tastes (or you can just use mine, they’ve worked fine for as long as I’ve been using them…). When you start a game of Stack, take a handful of the shuffled stack to form the initial library. Never reshuffle the same cards into the library, always replenish from the unused, shuffled stack. If a basic land would be put into the graveyard, instead it is returned to the pool of basic lands (and note that it doesn’t trigger effects based on cards going to the graveyard). For all effects, the library is both your library and your enemies’ libraries. For all effects, the graveyard is both your graveyard and your enemies’ graveyards. 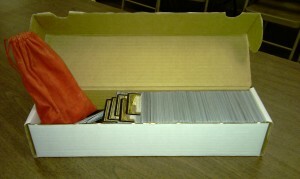 If a non-basic land card would be put in the library anywhere other than on top of the library, it’s exiled instead. If a basic land card would be put into the library anywhere (including on top), it’s returned to the pool of basic lands. In a game with more than two players, the winner gets to sign a single, unsigned card of his choice. It must be a standard magic card (e.g. not a plane or archenemy card), and can not be a basic land. Additionally, it should be a card which was significant to his victory. The winner should sign and date the card, and optionally add a short quote or illustration. In crafting your stack, aim for cards that you think are fun. They don’t necessarily need to be powerful, or even particularly good (although they should be at least good enough to be worth playing). Though not strictly necessary, I recommend having no more than one copy of any given card in your stack. In my stack, I put a special emphasis on cards that interacted with the graveyard to take advantage of the shared graveyard rules (e.g. incarnations, cards with flashback, etc), and I also put in pretty much every creature with morph I could find because that’s an ability particularly well-suited to this format. In addition, you may want to limit cards which allow you to search your library (excepting cards which allow you to search for basic lands, of course), as in my experience they ruin a lot of the fun and unpredictability. I used to have several in the stack, but at best they added little and at worst you’d get people cherry picking the best cards in the stack. And of course don’t forget all the other stuff out there you could add. I tried Vanguard for a while, but personally I didn’t care for it. Planechase has been a solid addition to my stack, and I’ve crafted some rules to integrate Archenemy into it as well (though they’re yet untested, I’ve only played one game with them). 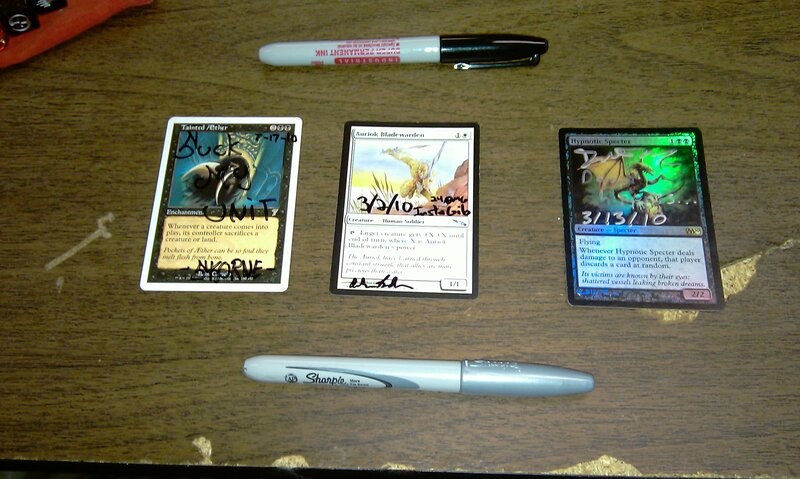 As I mentioned, one of my rules is that in a game with more than two players*, the winner gets to sign a card. This is one of my favorite parts of the stack, and I love drawing one of the signed cards and the memories it brings back. I’ve actually won with some of the cards I’d signed more than once, including Insurrection and Final Fortune. Plus, it adds character to your stack, and ensures that you’ve got a chunk of gaming that’s always going to be unique. i've always thought this variant was called "Cube" and usually involved a custom cube being used to fuel limited either as sealed or draft. There are some similarities to cube, but as you say, cube is usually used to draft and this... is not a draft. :) In fact, you could cube and stack with the same set of cards.